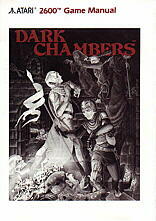 You are the only one brave enough to enter the castle´s dark chambers. Once inside the foreboding castle, a dark staircase leads you down to the murky depths of the labyrinth below. Go alone, or find safety in numbers with your faithful companion. 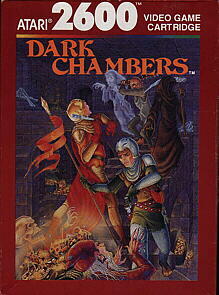 Throw daggers at a thretening band of humanoids, living skeletons, ghosts, evil wizards, and grim reapers. Stand back-to-back with your partner to fight them off. Then descend further beneath the earth´s surface. Collect magic potions and treasure chests as you encounter them in the tangle of rooms and corridors. Use keys found on the path to open doors. take food and drink along the way to keep up your strength. Danger lurks everywhere in the underground maze. 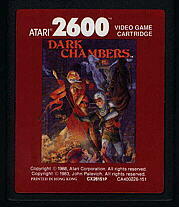 You must conquer the evil guardians to make yourself master of this subterranean domain!